Have fun and relax a little while you’re there! When you come back the holiday season starts and you’ll need to be a little recharged! Hope you and team enjoy the Houston market. You might want to stop by the Libby Leham tribute that has been put together, which will feature as many of her quilts as they were able to get their hands on. I am not a business owner, only an admirer of her art and have been following her story on Caring Bridge every day. Hopefully her recovery from the aneurysm/stroke will be complete and she will eventually be the person she used to be before this terrible tragedy. Whoa! Coconut bra and grass skirt?!?!? lol! 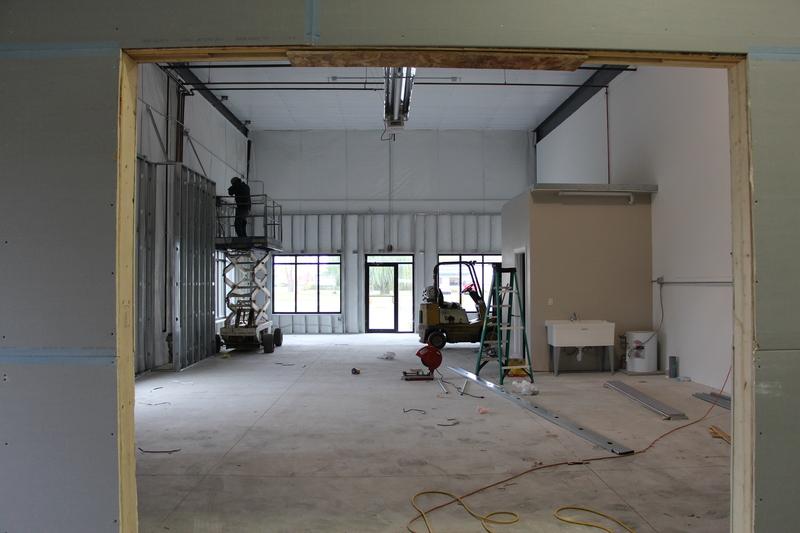 Your new space is looking mighty fine… can’t wait to see it all together! Enjoy Houston! Glad to see your post…they have been much missed! The new studio looks great. Have fun in Houston. This is a teaser……cannot wait until it is all finished! What a dream come true! I can’t wait for our retreat in the spring we we can have a tour! Looks like we had better plan a road trip to Menasha in the future!!! Have fun in Houston & will be looking for pictures. Sounds like it will be fun. What a great new space! 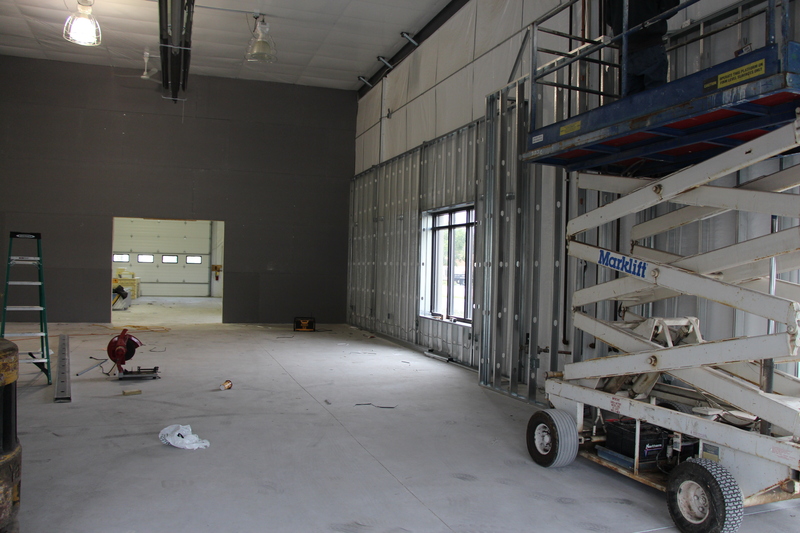 I bet you will fill those 14′ walls with quilts! Can’t wait to come and see the new studio! How exciting. Have fun in Houston! Have a great trip to market. I am sure it will be so much fun. Would love to see your new studio. How exciting for you with this new adventure !!! Have a great fall market in Houston ! Condolences to you, your family and employee’s….I’m sorry for your loss. The new studio is going to be awesome. Hope I can see it up close and personal some day. Enjoy Houston and the show. Impressive space! We are planning a 50 x 30 addition to our home and 18 x 22 is all mine … we call this the Studio of the Future… and I can’t wait ’til we say The Future is Now! Wish my studio was this big, it looks fabulous…..
Look forward to getting updates from Houston! What an exciting trip! What great space. Been meaning to email you with some photos from our show here in Augusta…two of your quit patterns won blue ribbons! Baskets full of happy memories of those who are no longer with you all. Studio Looks Really Nice!! ~Memories Will Never Go~. Hope Things Will Get Better Soon.